In recent work on the representation theory of vertex algebras related to the Virasoro minimal models M(2, p), Adamović and Milas discovered logarithmic analogues of (special cases of) the famous Dyson and Morris constant term identities. In this paper we show how the identities of Adamović and Milas arise naturally by differentiating as-yet-conjectural complex analogues of the constant term identities of Dyson and Morris. We also discuss the existence of complex and logarithmic constant term identities for arbitrary root systems, and in particular prove such identities for the root system G2. Communicated By David H. Bailey. 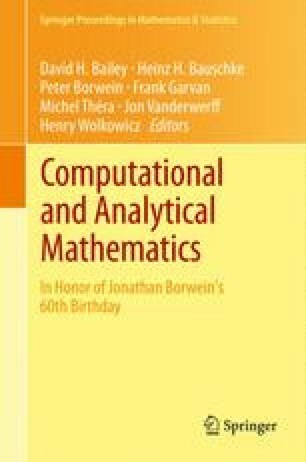 The authors have greatly benefited from Tony Guttmann’s and Vivien Challis’ expertise in numerical computations. The authors also thank Antun Milas and the anonymous referee for very helpful remarks, leading to the inclusion of Sect. 11.6.3. OW and WZ are supported by the Australian Research Council.